If you haven't heard about FISHBONES.LIFE, they're essentially fishbone-shaped attachments that add a really nice concave to your front footpad. The teeth themselves are elevated by 1.2mm above your sensor to prevent ghosting (when your board takes off on its own because it thinks you're on the sensor when you're not). If you want to be locked-in with a concave front footpad, FISHBONES are the way to go. If you want the cheaper version that doesn't work as well (if not at all), then FISHCOMBS are the other way to go! 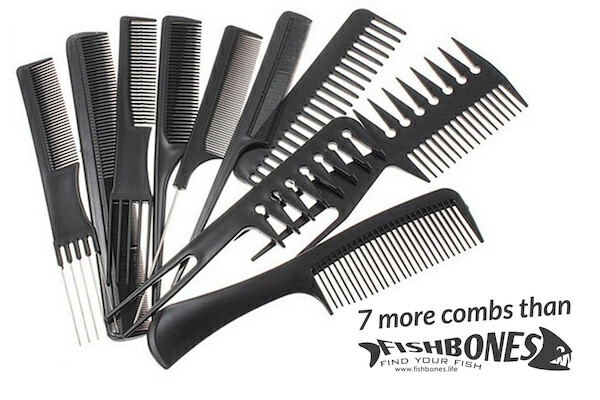 With FISHCOMBS, you can attempt to look like you kind of have FISHBONES without the cost or the functionality!